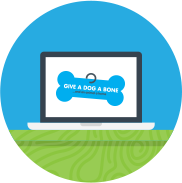 Give a Dog a Bone… and an animal a home was granted charitable status on 20th November 2013. At that time it was an idea only – to help address loneliness in old age, and the rising number of animals in shelters. The aim was to tackle two of society’s problems, not just one, by bringing the two groups together, by means of financial support. With quick succession a Facebook page was set up, a website was donated, along with a logo and printed material. It was imperative that Year 1 should have limited overheads, with a standing start of zero! Our charitable proposition is this: if you are 60+, and finance is a genuine barrier to rehoming a pet companion, the charity can pay the rehoming fee, and continue to support on a monthly basis, with the cost of pet food. For every cat and dog we commit to supporting each month, we are committing to thousands of pounds over that animal’s lifetime. The support is not limited to cats and dogs and can expand to any pet companion, deemed reasonable by the Trustees. Our model is a facilitative model. The applicant applies for funding from us and then, usually, finds the rescue animal themselves. This means that the applicant has a contract with the rescue operation, rather than ourselves, regarding the animal in question and that we have a separate contract with the owner, with regards to ongoing finance, if applicable. Out-with the rehoming fees and ongoing monthly support, during Year 1, we also made extra-ordinary payments to people in need, including an individual whose animal had been knocked down and she could not afford the resultant vet fees, as well as supporting a disabled lady to adopt a disabled dog companion. Over and above the financial support we provide, the charity has become known as a ‘go to’ place for animals whose owners may have died, or who are terminally ill, and are worried about what might happen to their beloved pets. 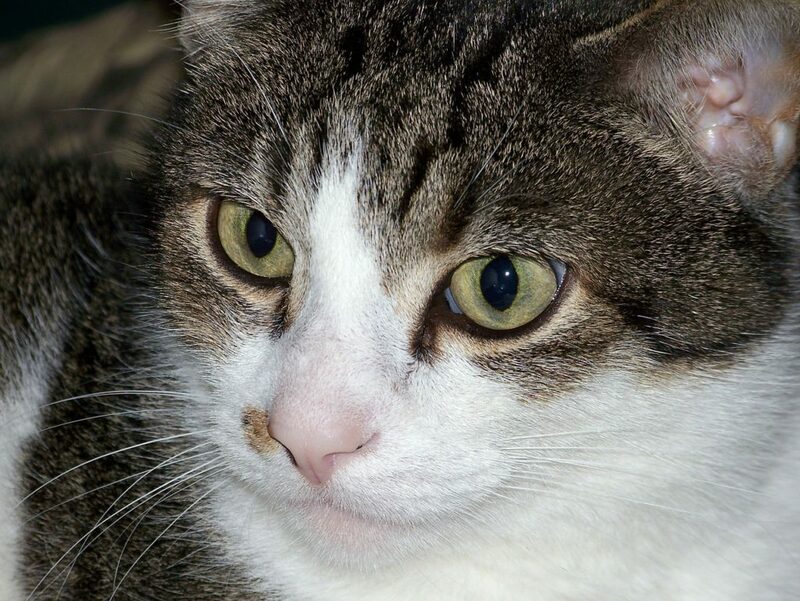 In our first year, we have supported many cats and dogs to find a new home, and a bright future, and we have had many testimonials, and donations, to this effect. Our financial target for year 1 was £5000 and we surpassed this by raising £8000 from virtually no outlay. We have attracted some generous donators during Year 1, with 32% of our overall income being donated by just 3 people. This trend continues into Year 2, with one of the aforementioned donators giving £1000 on Christmas Eve. Facebook has been key to our growth, as it has allowed us to reach the maximum audience, with the very limited resource available. To date, we have reached almost 6,500 organic followers on Facebook and Facebook is where we gain the majority of our support. We have held several successful fundraisers in Year 1 and Facebook has been key to their success – raising over £2000 from raffles, £1500 from the Great Scottish Run and £1000 from the sale of our unique Christmas cards. The sale of Christmas cards was a real learning curve as, not only was it heavily resourced in terms of time, but it was also more expensive than any other fundraiser we have held so far, in terms of stationery and postage. However, in terms of profile raising it was deemed a success as our charity details and logo reached many, many households across the UK and as far as Spain and America! We have been successful with local businesses and have raised £400 via Waitrose in Giffnock and £100 from the The Vegan Kind boxes and a local Chinese take away regularly donates £50, which equates to their takings from the 5p carrier bag charge. In Year 2, so far, we currently feature as one of Nationwide’s Community Charities, with the opportunity of winning up to £600 in March. With a view to raising reliable and regular income, we have set up our on-line Swap Shop, which allows followers to swap items, in return for a donation to our charity. For 2015, we have recruited a small team of trusted volunteers who all have impressive skill sets and experience to offer. We are about to launch a ‘pilot’ event in West Lothian as 3 of the volunteers sit in this region. This will involve targeted approaches to the elderly population and local businesses to help raise awareness of the charity. This will be a measurable pilot and, if deemed a success, the model will be duplicated and rolled out into other areas. We have several bag packing opportunities in the forthcoming months which will help raise funds, and awareness of our work. So, in summary, Year 1 has been a huge success in many ways. This is mainly down to lots of individuals, performing lots of kind acts. From people donating gifts for raffles, sponsoring runs, sharing posts and rehoming animals, it genuinely wouldn’t have worked without participation from others. The key challenges in Year 1 have been lack of resource to push ideas through, reaching our target audience and raising awareness of our work out-with social media. It is hoped that these challenges will be addressed in 2015, with the implementation of the volunteer team, as well as the pilot scheme. Supporting the over 60's to afford a rescue pet companion, helping people through loneliness and animals out of homelessness. Join our mailing list to receive the latest news and updates from our charity.